Ever since I witnessed a friend’s marriage in Bhatinda, mine appears to be a boring, formal affair. Was that a marriage? No Band, no Baja, no Baraat? Okay there was some music but that was hardly any match for the foot tapping, “Aaj Mere Yaar ki…’. Fine, there was some royal leg shaking at the private bash in the evening. It was no fun, in fact it was funny. Imagine stiff upper lips shaking stiff formal legs? That’s about it. No gaggle of giggly girls hovering around the bride. No bunch of boisterous boys high on beer around the groom. No malevolent matriarchs, no moody uncles, no grumpy aunts. No raging reds, fiery fuchsias or bright blues. It could have been a scene straight out of a black and white movie. It was more like a Mad Hatters tea party. And the prize winning hat was undoubtedly Posh’s. Honestly I was about to laugh aloud, but remembered that royals are not supposed to laugh like commoners. They can only indulge in half smiles. Though I was seated in Rolls the relatives trundled up in mini buses and reached the venue as if they were on a school picnic. The Brits should take some lessons from Indian royalty. From what I know, their ministers are the new monarchs and their personal jets ferry guests. My marriage is being labeled as the wedding of the century. Why? Because royalty is a brand just like…umm say- Apple. The buzz around it has to be kept alive. Else it dies a slow death of ignominy. My marriage was an occasion to inject some life in a fading monarchy. Monarchy is the only brand left in a recession hit Britain. Do you know the names of the King of Spain or the King of Norway? No? 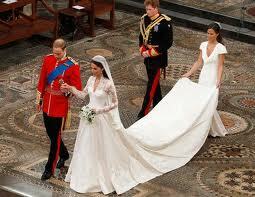 See, so we Brits keep your interest alive by staging extravagant royal marriages. The British press is happily singing that Kate Middleton is Kate Simpleton. I might be a simpleton but my goals were clear. Just as smart Indian kids start preparing for the IIT exam from class eight onwards, I set my sights on the Prince even before entering the St Andrews University in Scotland. Let me confess, this royalty business is a royal pain in the a$$. Had I known, I would never have set my eyes on the Prince. Though Willy was wise enough to marry for love, my father-in-law succumbed to royal pressures by keeping mommy Camilla in a clandestine closet. I was horrified to know that Diana, my late mother-in-law allegedly had to undergo a virginity test thirty summers ago. The stiff upper lip hushed that all was well. However, I refused to undergo any such test. Shouldn’t Royal men also undergo a virginity test? And horror of horrors what if they came out clean? Good Lord that would be such a royal embarrassment! Anyway, hell hath no fury like a woman scorned. After a royal dumping Diana went on a royal romp, threatening the royalty with the prospect of an Arab heir. Imagine a black or a brown King? Royal Catastrophe! The ‘royal stiff upper lip’ stiffened and Diana died mysteriously in a car crash. They say paparazzi killed her. Not only did I refuse a fertility check, I also refused to utter the word ‘obey’ during my wedding vows. I am a modern woman. A smart one! The fact that I hooked a Royal is proof enough. Let’s see who obeys whom. As of now my sister Pippa's derriere is creating waves in the British press. And going by the magic of her gait she will be marrying Harry in a few years, perhaps in Bhatinda. The marriage will again be like a breath of fresh air for a stale monarchy which sits uneasily in a democracy. another nice one from you..this is very creative i must day! it was fun to read Kate's private diary. i did not know lady Diana had to undergo a virginity test! what a hypocrite society of these royals! hahahahhahaa.......excerpts from the diary of Dutchess of Camridge!! Good one. I live in England and on the 29th everyone here was walking talking royal wedding. I watched the whole wedding on TV and really I thought even a 'mango person's' wedding in India is more fun than this wedding of the century. A very good write up Alka. and yes Pippa Middleton has also become famous now. Apparently she was very calm and confident on the day and she pulled it off very well! Katie Beti's wedding despite all the simplicity had 1/3rd of the world watching. Is Lakshmi Mittal listening? and finally..... "KAT BELLS WILL"
My marriage ceremony will be held on Moon and reception near the Sun; isn't it "royal"? LOL, where did you get hold of her diary? Or was she your guest this time on this blog? Royal wedding, it shook nothing, lots of well dressed men and women, and a quiet quiet procession. Nice article Alka, it is always fun to read your posts. You should have left them; they are a newly wed couple, let them enjoy. 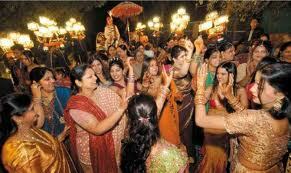 And, off-course nothing can ever supersede a Great Indian Wedding with all such pomp and show. @AS...Will check it out now.Thanks. Yes, the British press hushed it up but allegedly it was conducted. @Always happy...Thanks. Were you camping on the streets? Who named her(Pippa) by the way? @Purba....I am sure Mittals daughters wedding was more colorful than the somber formal royal one. @Prateek...Please book my tickets in advance.Chand par Bhangra! @Anshul....yes, the British press hushed it up but she did have to undergo a test. @Rachit...I am only praising her guts as a modern woman who knows what she wants. hm.. this weeks hot topics, a wedding and a funeral.. Interesting how we put it together...really nice- specially how you weaved it. No sangeet, no “Aaj Mere Yaar ki…’ shaadi hai...I am disappointed too!! where was the ladies sangeet a day prior to the wedding..
thanks miss middleton.. uh.. whats ur new surname? the idea of royal pain.. err.. marriage is good(read: yuck).. isn't it? Well there is nothing to compare the punjabi weddings to.. I think that we may be show offs, but atleast we know how to let our hair down! Super Fun!!! :) And Funny!!! How did you even think of the concept! @Harish...Unfortunately the funeral was not telecast live. @Bikram....Thanks. By the way, what were you doing on that day? Camping with the crowds or cheering the royal lip lock? @Deepika....At times it sure is a royal pain. Thanks for reading dearie. @Suruchi...following your footsteps maam! Humour is your forte! @Tanvi...Thank you Tanvi and welcome to Freebird. now that was a 'royal post' indeed! and talk abt India then v r so damn good at pomp and show, unmatchable! ha ha this post was hilarious. @Ria, Venkatesh and sm....Thank u. A lot of things are culturally determined. 'Good Marriage' being one of them. Cleanliness is another. I mean they will call Ganga as an urban drain or something but it still is the holy Ganga for us right ? Similarly, there is this concept of 'Fun'. To compare is a difficult thing to do. Cricket matches played in England has audience rising to their feet and clapping- thats the upper limit. Here, things are little on the face. But, its difficult to say whether we have MORE fun than them. Dont know much about British marriages though and yes, they do give an impression to be silent and boring for us all ( who love noise ) but shouting out aloud is not enjoyment for everyone. Second last paragraph is strong. Kind of modern touch. Amazing how you mix genres. PS- Very candid description of India weddings :P Mast ! Very nicely written, as always..
You are ready for Prime Time ! @Deguide...Criticism is welcome on my blog. Honestly I thought there were some hard hitting facts in the garb of candy floss regarding the relevance of monarchy.Please read it again and feel free to comment.I consciously make it a point to say something even if the post is witty. @Sritatsat...Yup, it sure was a circus though a somber formal one! @Ravi...Long time Ravi. Thank u for reading. Old friends r special.Pippas bum story was all over in Times of India supplement here. Wonderful peep into the diary of Kate. I so sympathise with her for missing to have a Punjabi wedding. After all, Pounjabi has become pan Indian now, with even staid Tamil maamis dancing to bhangra tunes at the weddings of their sons and daughters. It is not fair to deprive the royal daughter-in-law of the joys of one, is it? 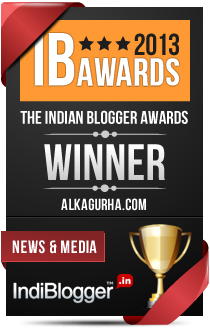 @Veena...Thank u for visiting my blog. Am glad u liked it. @Zephyr....U summarize my posts so beautifully. So so true. :D what a mad post that was. Much though royal wedding has been reviewed to death - your take was refreshing! loved it. A hilarious, tongue in cheek account of the royal wedding. Loved reading it, Alka. It brightened up my monday evening. Good imagination. It is not a bad idea for the Royal men to undergo virginity test. You have made absolute sense in whatever you have told here. @Mayank, Abha, Rachna, Joshi...thanks a ton. LOL. Good one. Actually she should now be beware that Pippa does not oust her and take her place.